Earlier this year Cooler Master introduced the CM 690 II series at the Consumer Electronics Show (CES) in Las Vegas. This new lineup succeeds the roughly 2.5 years old CM 690, which was a popular mid tower case due to its high bang-per-buck ratio. Just like the original CM 690 the new model features a mesh design for plenty of ventilation, but now with an all-black interior, more room, support for enthusiast-class cooling solutions and various other improvements. 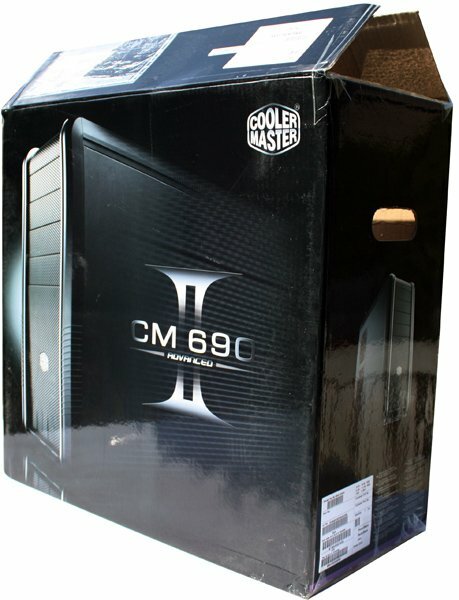 Cooler Master introduced the CM 690 II and CM 690 II Advanced, the difference between these two models is that the Advanced edition has several additional features, such as an external HDD dock, a GPU retention bracket and a drive cage for 1.8" and 2.5" solid state disks. In this review I'm taking a closer look at the CM 690 II Advanced, the model I received is the RC-692-KKN2 but there's also a RC-692-KWN2 variant with side window. The case ships in a nicely decorated box, well protected by Styrofoam and a plastic bag. I bought it last week, great bang for your buck and pretty quiet. Feels very roomy to work in and there's easy access to everything. 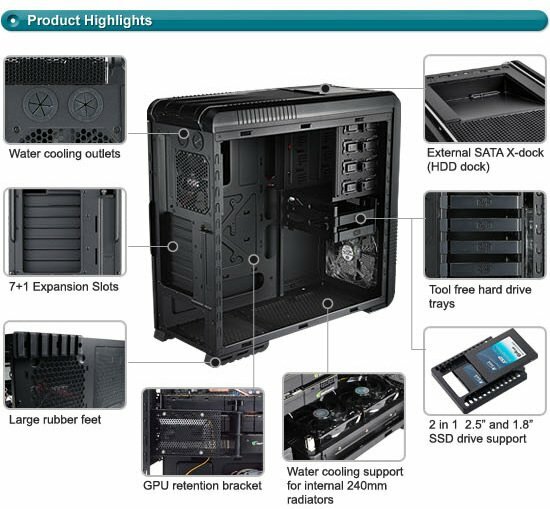 The only downside is that the included fans don't push a lot of air, but my temperatures are OK.
Nice review, looks like a nice budget case for my next Core i7 + Radeon HD 5870 rig.